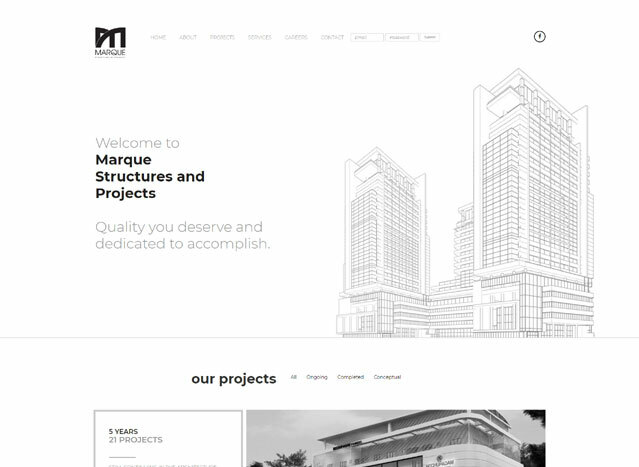 Marque Structures and Projects is a construction company based in Cochin since 2013, delivering construction services, general contracting, and construction management services to residential, commercial and industrial projects all over Kerala. Domain name registration, Linux server hosting, website design, responsive web pages, emails and more. 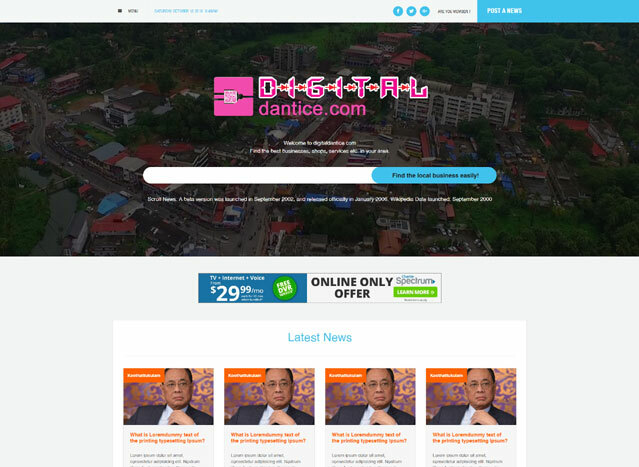 Digitaldantice.com is an online directory with news portal. Local news and business directories are listed in this portal. Linux server hosting, responsive web design, dynamic web pages, admin control panel with user access rights, content management system, directory management, news management, public news posting and more. 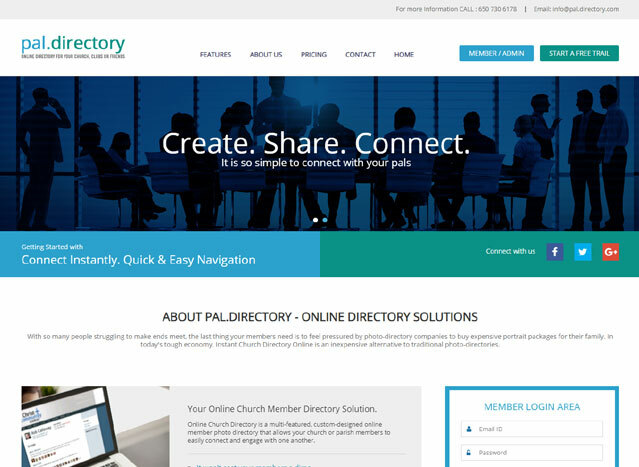 Pal.Directory is an online directory for Church, Clubs and Organizations. It is a multi-featured, custom-designed online member photo directory that allows your members to easily connect and engage with one another. 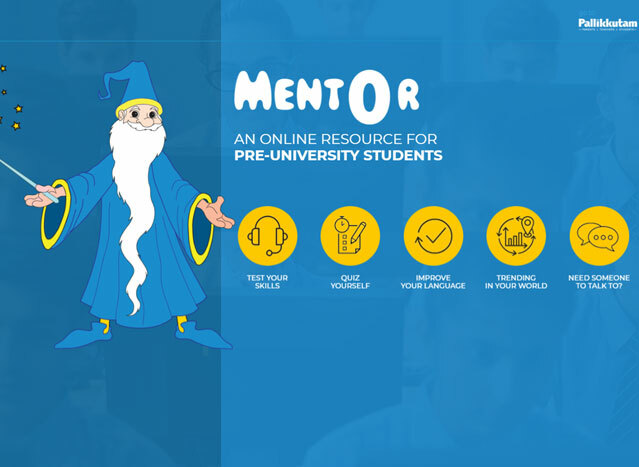 Mentor is an educational portal from Rajagiri Media Trust. It is an online resource for pre-university students. The portal includes online skill tests, quiz, tips to improve language, and counselling module. Domain registration, Linux server hosting, responsive web design, dynamic web pages, objective and descriptive type skill test module, objective type quiz test module, language improvisation module and counselling module. 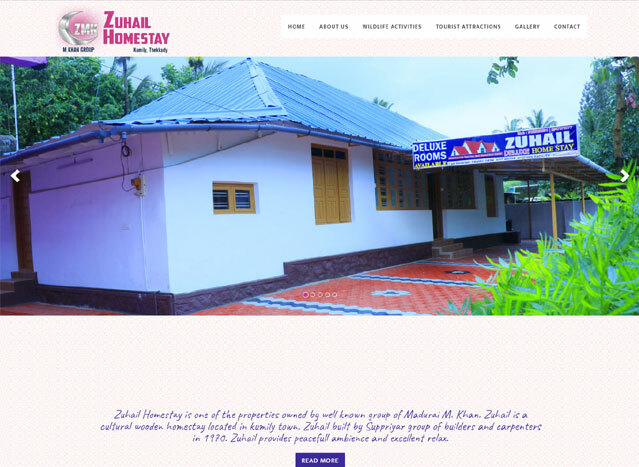 Zuhail Homestay is one of the properties owned by well known group of Madurai M. Khan. Zuhail is a cultural wooden homestay located in kumily town. Domain registration, Linux server hosting, responsive web design, static web pages, contact page. 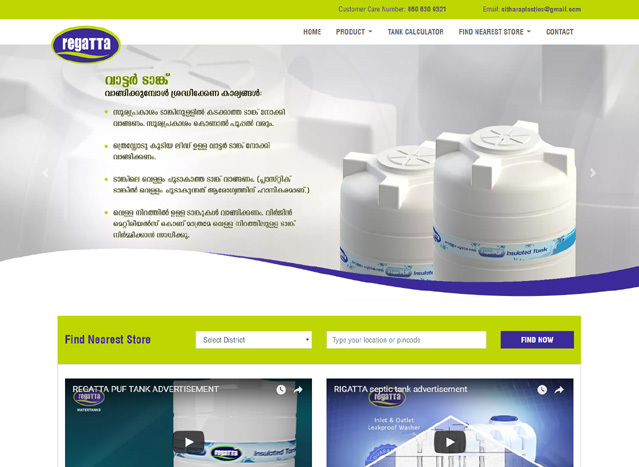 Sithara Plastics Pvt Ltd located in Malayattoor, Ernakulum is one of the major manufacturer of Water tanks and Septic tanks. The company needs a website to display there products and wide range of dealers. Linux server hosting, responsive web design, category wise product catalog, nearest store locator, admin control panel, contact page. 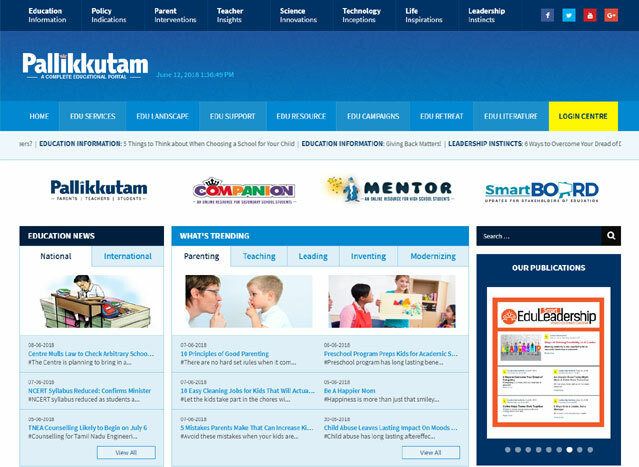 Pallikkutam is an online educational portal owned by Rajagiri Media Trust. Their aim is to develop an interactive platform to develop the knowledge level and soft skills of students from all levels. Linux server hosting, SSL certificate, responsive web design, dynamic web pages, admin control panel with user access rights, content management system, category wise news listing with commenting option, news archives, online publications (Pallikkutam, Mentor), payment gateway integration, weekly newsletters (SmartBoard), bulk email system, user registration, Google Ads integration and much more. 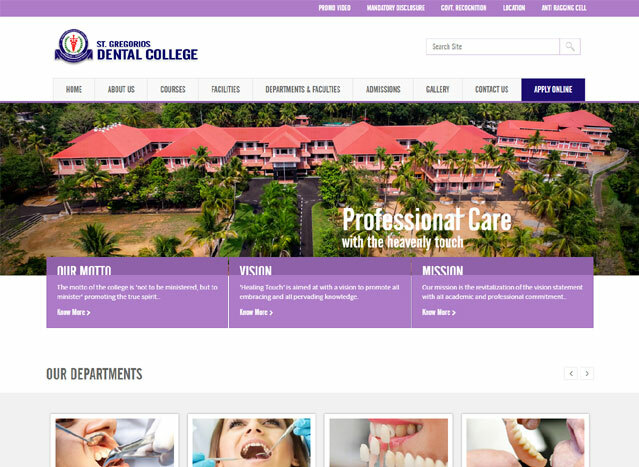 St. Gregorios Dental College is run by Malankara Jacobite Syrian Christian Education Trust. The management needs to develop an institutional website. Linux server hosting, responsive web design, dynamic web pages, admin control panel, content management system, photo gallery, news updates, event calendar, departments and staffs management, alumni association with registration and profile management, contact page with enquiry form. World by Ark is an international travel and tour operating company based in Cochin. They need a website with attractive design to exhibit their packages and offers. Domain name registration, Linux server hosting, logo design, responsive web design, dynamic web pages, admin control panel, content management system, country wise packages with itenerary, regional offers, photo gallery, package search option, travel customizer, contact page with inquiry form, news updates, client testimonials, Google map integration etc. 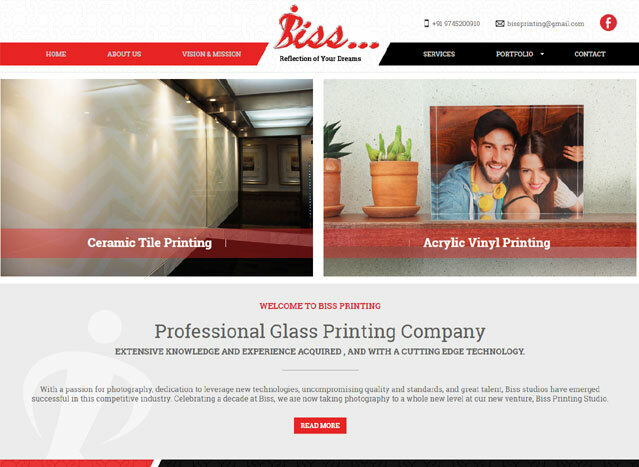 Biss, located at Kothamangalam, Kerala provides all types of printing works. They need a website with stunning looks to exhibit their works. Domain name registration, Linux server hosting, responsive web design, static content pages, admin control panel, category wise portfolios with gallery and search option, contact page with inquiry form. 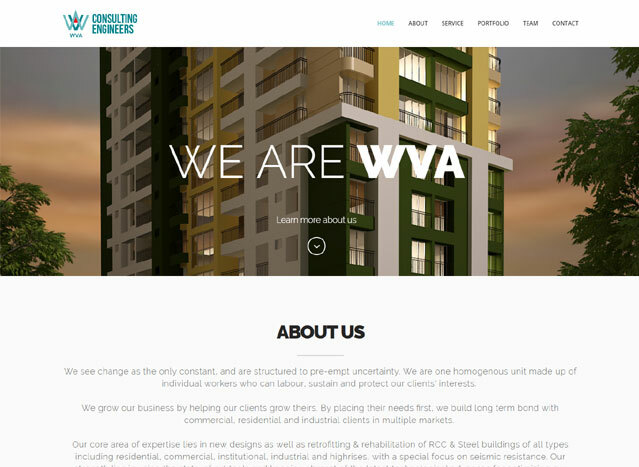 WVA Engineers are one of the leading structural consulting engineers in Kerala. They need a website to showcase their portfolios. Linux server hosting, responsive design templates, static web pages, contact form etc. 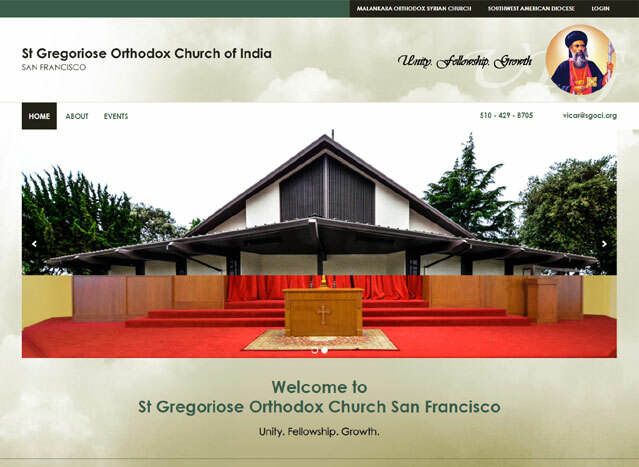 St. Gregorios Orthodox Church of India is located in San Francisco. The committee needs to develop a blog website. Responsive web design, Wordpress, user accounts with access rights, content management system, blog, news updates, Holy Mass timings etc. 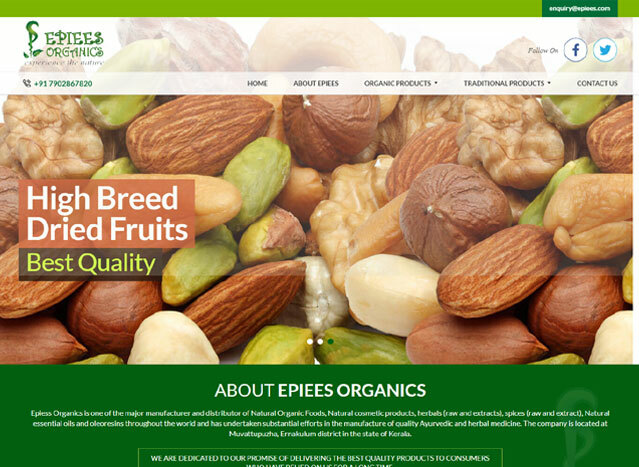 Epiess Organics located in Muvattupuzha, Ernakulum is one of the major manufacturer and distributor of Natural Organic Foods, Natural cosmetic products, herbals, spices, Natural essential oils and oleoresins throughout the world and has undertaken substantial efforts in the manufacture of quality Ayurvedic and herbal medicine. The company needs a website to display there wide range of products. Domain name registration, Linux server hosting, responsive web design, dynamic web pages, category wise product catalog, photo gallery, admin control panel, content management system, contact page with inquiry form. 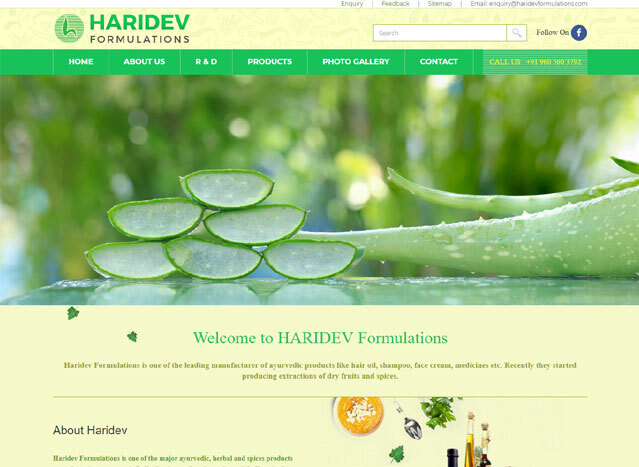 Haridev Formulations, located in Nellad, Ernakulum is one of the leading manufacturer of ayurvedic products like hair oil, shampoo, face cream, medicines etc. The company needs a website to showcase there wide range of products. Domain name registration, Linux server hosting, responsive web design, dynamic web pages, category wise product catalog, photo gallery, news and events, admin control panel, content management system, contact page with inquiry form etc. Why Should I Have a Mobile Application Developed for My Business? Copyright © Calvys Business Solutions. 2019 - 20 All rights reserved.